I have a habit of saving most everything that comes my way. The key is that I am able to identify and catalog it in some way. For items that are not listed in regular catalogs, this is where specialized catalogs come in handy. And, in many cases, online resources that contain listings for oddball back of the book items. Meters aren’t the most exciting collectible for stamp collectors. But, there is an excellent online reference to worldwide postage meters available in wikibooks. The online catalog groups meters by their design types and makes it fairly easy to identify them. For the rarer meters, the catalog lists a value. See the Canada Meter Catalog Here. I only have a few, but I catalog them and place them in my stockbooks with the appropriate number. Unfortunately I don’t possess a copy of this catalog, but, using a few websites, I was able to identify all of the revenue stamps that I had. 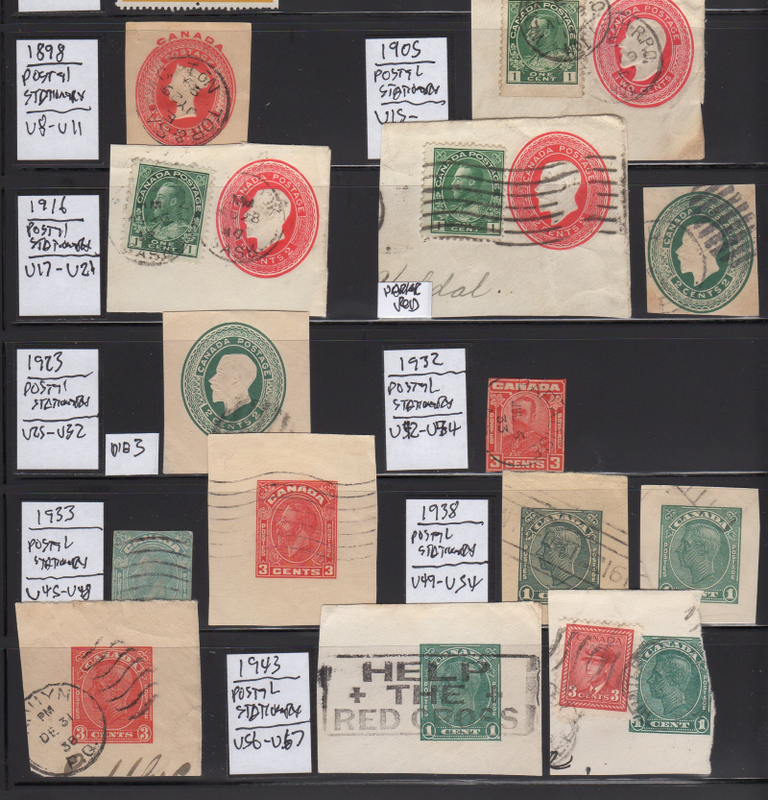 I have quite a few other interesting items such as War Tax stamps, tobacco stamps, electric light inspection stamps, gas inspection stamp, and more. All of these can be found using the above resources. 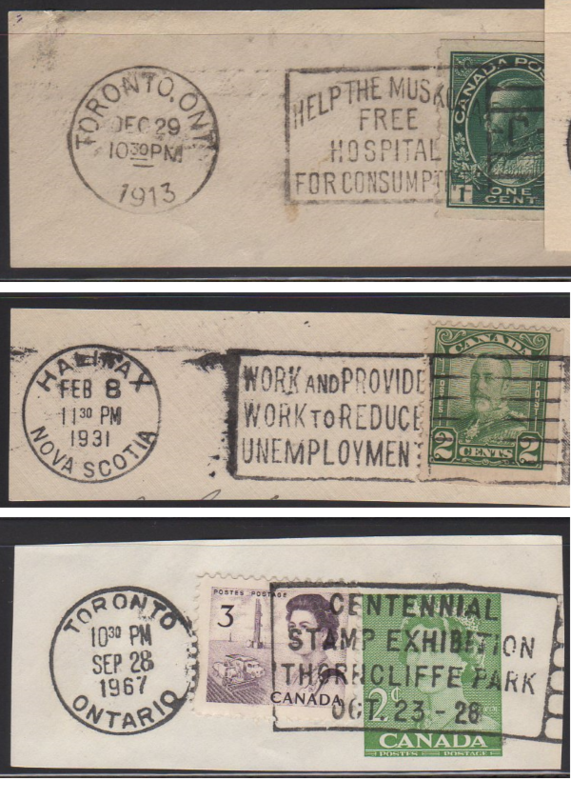 Slogan cancels are an interesting side-collection not only for Canada but for many other countries that use them. 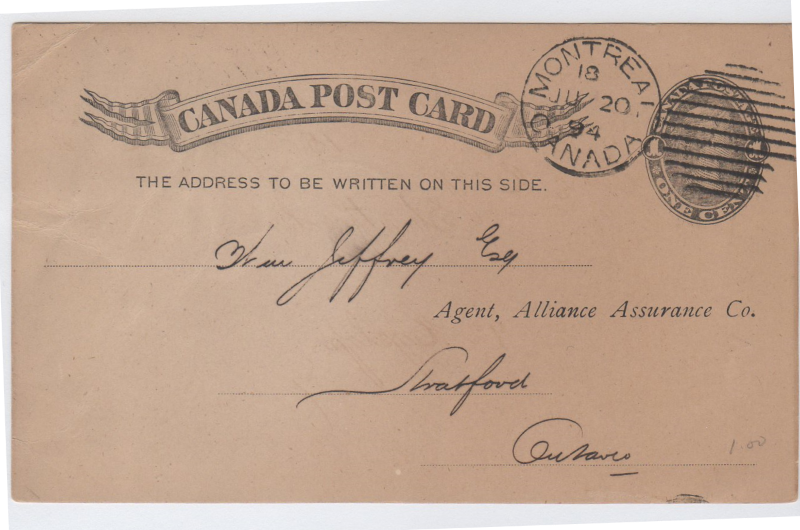 There is an online reference available to the members of the Postal History Society of Canada. 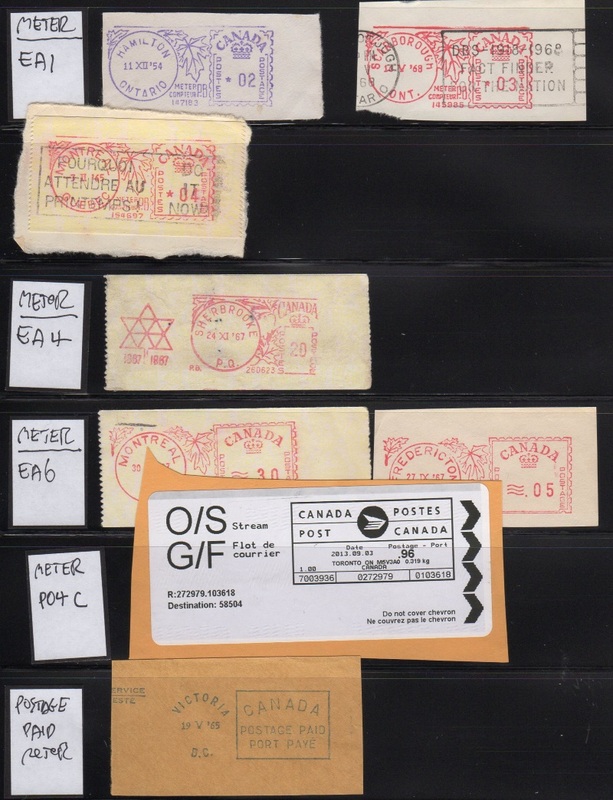 The online database is the digital version of the book: “Slogan Postmarks of Canada” by Cecil Coutts. There is another earlier book titled: “Slogan Postal Cancels of Canada” by David H. Proulx. Both of these books are out of print. Another interesting side collection is Railroad Cancels. 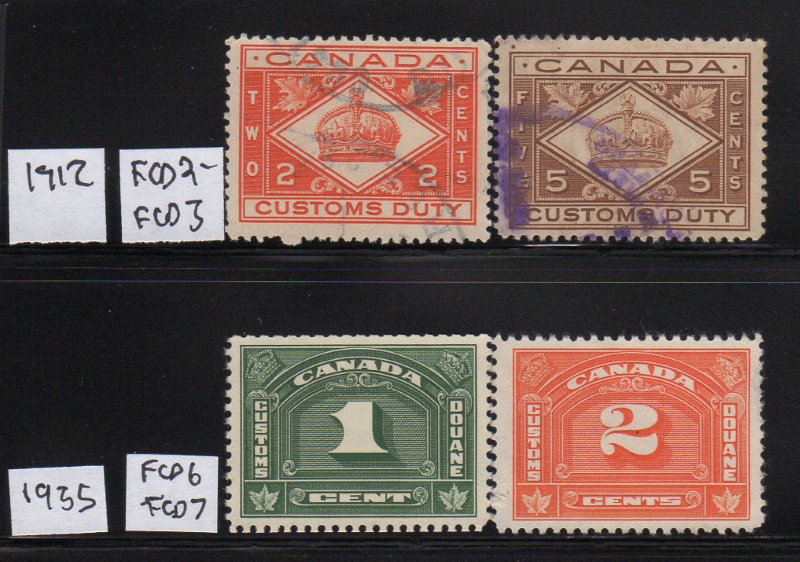 As far as I could find there is no online reference on these, but the definitive guide seems to be the book: “Catalogue of Canadian Railway Cancellations and Related Railway Postmarks including Selected Waterway Postmarks” A very expensive book, but for a serious collection of these postmarks, it would be indispensable. 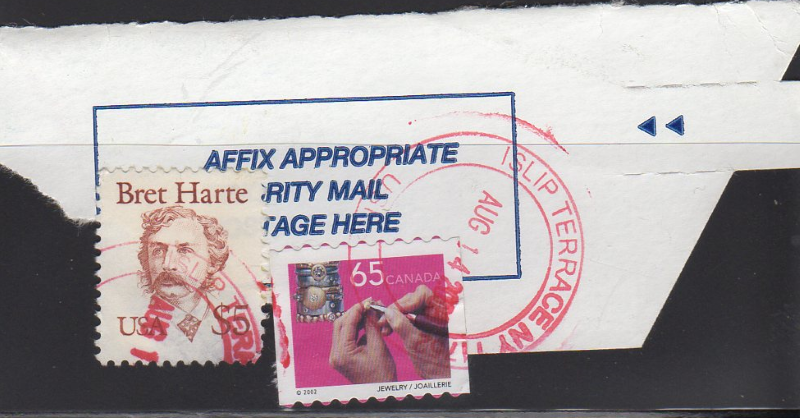 Normally, these postmarks are easily identifiable as they will show two cities with an ampersand between them. See my examples above of “London & Niagara Falls” and “St Stephen & London”. (Note: We are in Canada, so we are of course referring to London Ontario). Here is a StampBears discussion on the topic with many images. The Unitrade catalog lists all Postcards, Stamped Envelopes and Wrappers in the back of the catalog, all prefixed with a “U” catalog number. And finally – a last oddball item. 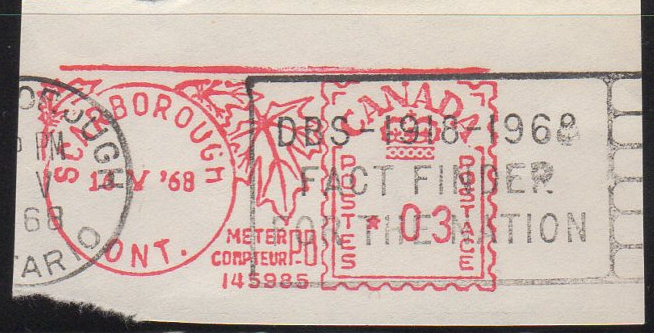 This little piece of an envelope, saved from soaking contains the $5 USA Brett Harte stamp (#2196) and a 65c Canadian Definitive (#1928). 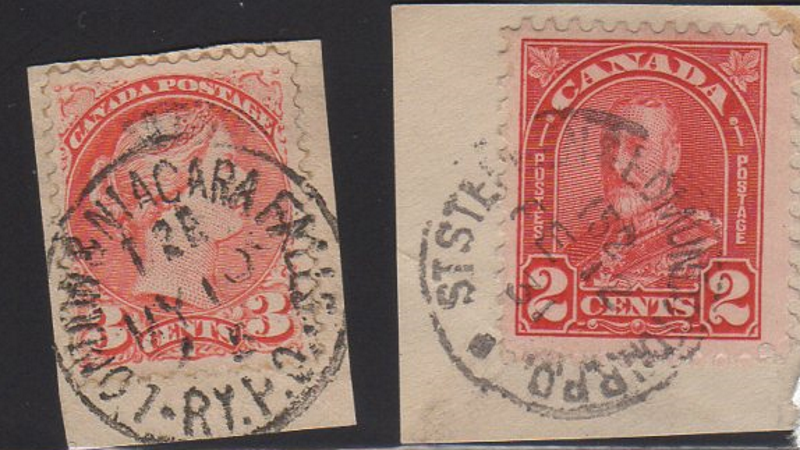 Both on the cover fragment and cancelled in Islip Terrace NY. Hello, My husband was a member of the Meter Stamp Society. He passed away in March and I am selling off his huge collection. I saw your site and would like to speak with you. I have free everything on my phone so I could call you or call me at United States 630-554-5168.